Young professionals from the millennial generation and Generation X are playing an increasingly large role in the Denver real estate market these days. These young home buyers typically fall into one of two categories: (1) looking for a turnkey home that requires little improvement or upkeep (2) interested in investing sweat equity to add value and put a personal stamp on a property. The Denver home market is filled with opportunities to satisfy the needs of both types of buyers. 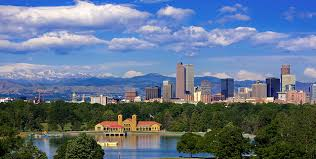 Here is a short list of the best Denver neighborhoods for young professionals. Split into two sections -- Washing Park and Washington Park West -- this area has a lot to offer young professionals looking to purchase a home. Its excellent walk score and proximity to outdoor adventure, bars, restaurants, and coffee shops make it an ideal location for young singles or couples on the go. If you’re looking for a turnkey home in a beautiful neighborhood that caters to your needs as a young adult, check out our page on available Wash Park homes. Like Wash Park, this is another top Denver neighborhood built around one of the city’s best parks. What sets Cheesman Park apart is its affordability. Relative to some other top neighborhoods around town, it has lower priced homes that offer young professionals a chance to save money upfront and build value through sweat equity. Cheesman Park has tons of green space, a nice variety of retail stores, and close proximity to downtown. Check out our Cheesman Park neighborhood profile for more information, or start your property search on our page devoted toCheesman Park real estate in Denver. The connected Highlands and LoHi neighborhoods of Denver feature plenty of great restaurants, bars, and coffee shops all within easy walking distance. In this section of town, there are activities and opportunities to meet new people, explore a new shop, and enjoy life every day. Proximity to downtown Denver and the highway gives LoHi residents easy access to the best of urban and outdoor adventure. Check out our LoHi homes for sale to begin your property search in one of Denver’s hippest neighborhoods. The Riverfront neighborhood offers some of the great features of the other areas mentioned -- quick walk to downtown, easy access to highways and public transportation, trendy shops and restaurants -- but it is much more affordable. Visit our page on Riverfront Park homes to see what’s available for you in this up-and-coming neighborhood. To learn more about the best Denver neighborhoods for young professionals, contact the Neir Team today! If you have an opinion on which Denver neighborhoods are best for young professionals, leave a comment and let us know!